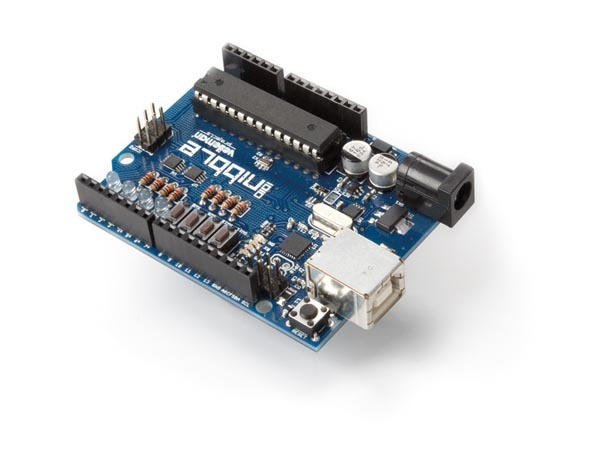 Build your own - fully Arduino® compatible - microcontroller and enhance it with 4 built-in buttons and blue LEDs. 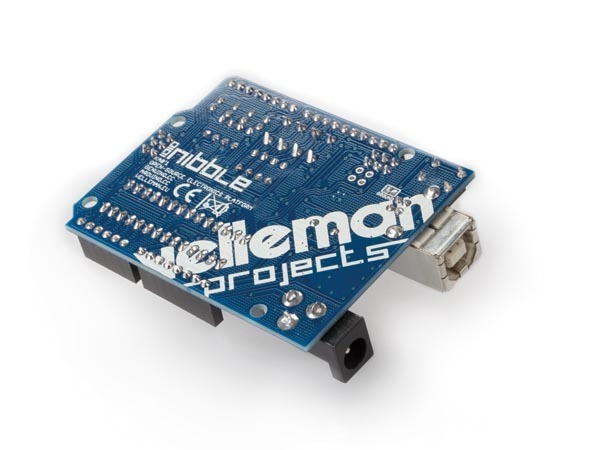 The nibble only requires through hole soldering skills and is preprogrammed with a working memory game (SMD components are already assembled). Check out the pinout here!